Entrants in the Baby Products Association’s 2016 Concept & Innovation Awards are in with a chance to win an outstanding prize thanks to sponsorship from legal firm 3volution. The company is offering two prizes worth £750 of legal services; one to the winner of the Concept Award and one to the winner of the Innovation Award. Julie James of the BPA, who organises these annual awards, comments: “We are delighted to have 3volution on board as sponsors of these prestigious annual awards. 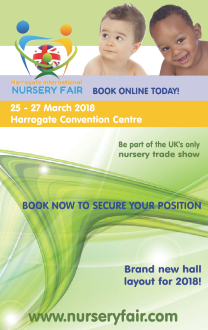 The BPA is very keen to encourage innovation in the baby products industry and the Concept and Innovation Awards are always popular with designers and inventors of new products. 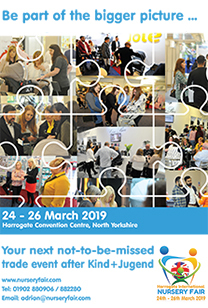 Sara Ludlam, an intellectual property and commercial lawyer, has provided BPA members with legal support for a number of years and has been on hand at the BPA stand at Harrogate International Nursery Fair to provide legal advice to the winners and runners up of this award. Sara is now a partner at the commercial law firm 3volution Limited. She says: "3volution is a keen supporter of new ideas and believes that innovation, passion and determination are key factors for commercial success. The British are well known for being brilliant innovators. What they seem to do less well is make money from their innovation. 3volution, through its specialist teams, is keen to change that by providing ‘wrap around’ legal support to ensure that businesses get the right advice in relation to corporate and intellectual property and commercial requirements and manages any potential disputes effectively and efficiently. By taking a global view of a business we can ensure that its limited resources are spent effectively - so the owner can concentrate on the growth and success of its business." The BPA’s Concept and Innovation Awards are open to entry to anyone with an exciting new product idea from college students to mums and dads who have discovered a gap in the market. Full information and application forms are available on the BPA website at www.thebpa.eu the deadline for entry is Tuesday 5th January 2016.